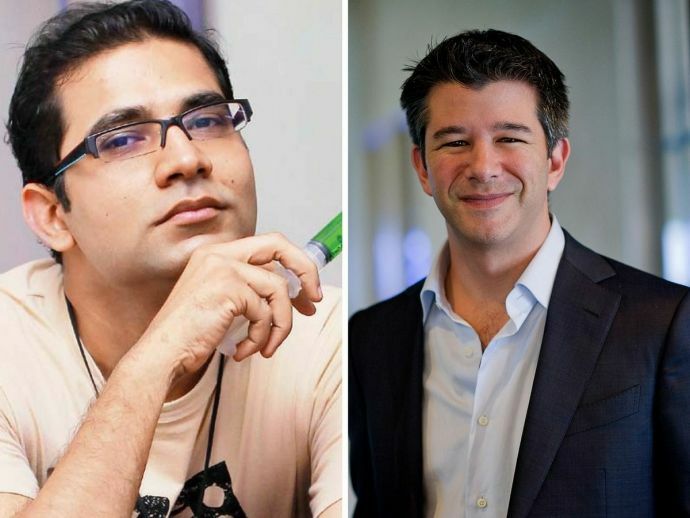 Dear Startups, High Time You Learn From The Uber, Housing And TVF Fiasco! Proper organisational structuring is the need of the hour for the likes of Uber and TVF. On February 19, 2017, Susan Fowler, an ex-Uber employee took to her personal blog to pen down her devastating experience with the organisation. She accused Uber of blatant sexism, sexual harassment, and illegal workplace retaliation. In no time, the blog post went viral with unanimous support pouring in for Fowler. Within two weeks of this accusation, two other Uber employees came out in the open with their share of allegations of sexual harassment and sexism. Uber CEO Travis Kalanick has ordered an urgent investigation and the organisation has even hired a law firm to keep a tab on Fowler. Roughly a month later, on March 13, 2017, a similar blog post published on the popular blogging site, Medium, went viral in India. 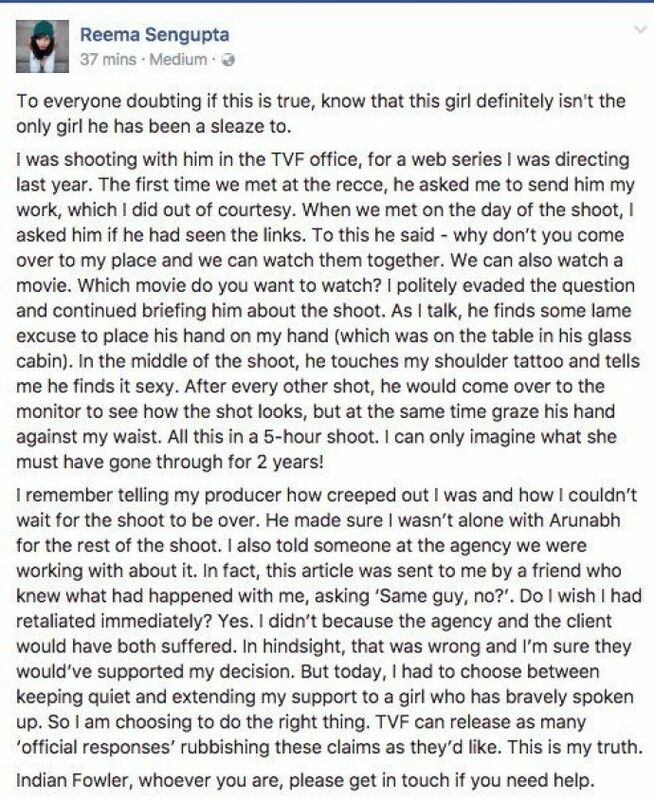 This anonymous post which goes by the name of Indian Fowler accused Arunabh Kumar, head honcho of The Viral Fever, India’s largest digital content producing firm of sexual harassment. The author of this post titled it as ‘The Indian Uber - That Is TVF’ and compared her situation similar to that faced by Susan Fowler. “I am abruptly called by Arunabh at 6.45 PM. I am in the local back towards my home. He demands I come back to office. Apparently i have not finished some part of my work. I reluctantly come back. There are 3 people in office. 2 of them leave withing 5 minutes of me coming in. And Arunabh is sitting on a Chair in a casual manner. I walk up to him. He looks at me and asks me — “ Chaturbhuj Sthan ka naam suni ho”? I am stunned. For Non Starters, Chaturbhuj Sthan is the Red Light District of Muzaffarpur. I didnt respond. His second question- “Humko Chaturbhuj Sthan Bahut Pasand Hai. Udhar commercial deals hoti hain. Tum Bhi to commercial deal pe aayi ho”. I was getting where he was leading the discussion to. I avoided an interaction. I said “Arunabh, aap bade bhai hain. Meri tabiyat thodi theek nahi hai. Kya karna hai bataiye. Hum karke ghar jaayenge” He suddenly holds my hand. Says “Madam, thoda role play karein”. I was stunned. None of this was something i had ever asked for. I ran away. Locked myself in the toilet. And cried. He went away. But i was thinking why the hell he is after me? What did i do to make this happen to me. That was the longest night of my life,” she wrote. You can read the entire blogpost, here. Different events, countries; same pattern! The pattern of the blog post going viral and other employees accusing the organisation as in Fowler’s case was repeated again. Aayushi Agrawal, another former employee at TVF replied on the blog post, saying that she also left the organisation under bad circumstances. Writer-director Reema Sengupta who worked with TVF and Anurabh for a web series had a similar story to tell. She took to Facebook to share her account and claimed that the already viral blog post is true. While social media was (and is still confused) about what has happened, TVF cleared its stance by issuing a statement. “All the allegations made against TVF and its team in the article are categorically false, baseless and unverified. We take a lot of pride in our team and in making TVF a safe workplace that is equally comfortable for women and men. It is our humble request that you do not to share an unsubstantiated, unverified and anonymous article such as this. We would like to thank all our fans and friends for their continued support,” said the statement. TVF loyals Nidhi Bisht, Biswapati Sarkar and Amit Golani too issued statements claiming that Arunabh is innocent and TVF’s work environment is one of the best in the country. Later in the evening, Mumbai Mirror interviewed the man in question - Anurabh Kumar and he had the same thing to say. “I unconditionally and unequivocally deny all these allegations. Social media has already declared me an offender, but I am ready to address all the allegations against me. I am open to receiving a police complaint so that I can respond legally as well.TVF is bigger than me and if there is a remote chance that I have done any wrong, let me be persecuted,” he told Mumbai Mirror. The Indian comedy community, which is known to voice their opinion on almost everything seemed appalled by the entire incident. Aditi Mittal, famous for the already infamous AIB Roast voiced her opinion and questioned the silence of the community. Without mentioning any names, Mittal echoed the sentiment. This was followed by a range of reactions from Team AIB and Sourabh Pant of East India Community. Silence from the comedy community is deafening.EVERYONE still"texting contacts"/"verifying facts" inspite of hearing stories abt it for yrs? And THAT my friends is why "there are so few female comics" a question that I get CONSTANTLY asked as if I should have the ans to the ques. In a recent survey done in Silicon Valley and published in The Guardian, about 60 percent women agreed to have faced sexual harassment at workplace. In most of the cases, the organisational structure is not proper, hence leading to such offences. Back in India, the court has provided The Sexual Harassment of Women at Workplace( Prevention, Prohibition and Redressal) Act, 2013 which late superseded the 1997 Vishakha guideline. These guidelines stated that an organisation having more than 10 employees should compulsory have an in-house cell in order to prevent sexual harassment at workplace. It also mentions that safe working environment is a fundamental right for every working woman. Moreover, the in-house cell should be headed by a woman herself, and complaints related to sexual harassment and blatant sexism should be taken to this committee. Why is the role of HR sidelined? “In the fast-paced world of booming start-ups, increasing market competitiveness, the need to constantly match investor expectation has forced most new age companies to have lean working structures. This often has resulted in prioritizing certain functions of an organization over others. Cost-incurring functions like a dedicated HR team or finance teams are usually ranked below having teams of working professionals directly contributing to the performance of the company. The rush to get the product market-ready and meet consumer preferences is often heavily prioritized. This method of organizational design, pioneered and accepted by most start-ups in the Silicon Valley, has become a norm in the startup ecosystem; a culture that demands high returns in relatively shorter periods,” says a report published in People Matters while commenting on the Uber fiasco. A proper organisational structure is important! Earlier, Housing.com, India’s leading real estate portal had to face similar challenges with respect to the organisation’s structure. Same is the case with TVF. A digital content creation company targeting age group 18 to 30 and having about 1.7 million subscribers on Youtube, TVF has just got a $10 million funding from Tiger Global. But even though the organisation has no financial constraints, as of now, the complainants have also claimed that the company doesn’t have a proper HR team, and hence it doesn’t abide by the Vishakha guidelines. That's where lies the big question. Are startups like TVF and others focus so much on targets and deadlines, they fail to create a good work environment. As the allegations are getting dirtier, the whole issue is turning murkier. While no lawsuits have been filed against Anurabh or TVF for that matter, but the image is tarnished for sure. Given said and done, business organisations, especially fast growing startups should prioritise the roles properly and make the work culture more inclusive so that these type of incidents don’t happen in near future.